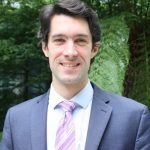 PhD, London School of Economics, Head of the OECD Development Centre’s Unit for Africa, Europe and Middle East, Arthur is responsible for the dynamics of African Economies and Revenue Statistics in Africa, in partnership with the African Union. As an economist, he led the themes of the African Economic Outlooks (AEO). At UNDP in New York, Arthur contributed to the flagship Human Development reports. In Abidjan, he volunteered for the United Nations Operations in Côte d’Ivoire(ONUCI) during the electoral crisis. He gained private sector experience at Wolters Kluwer.